Fanzines (fan magazines) or zines are usually conceived as social, cultural and material artefacts with a significant impact on dynamics of subcultural groups, scenes etc. 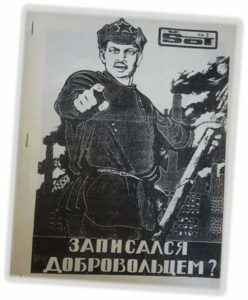 Variety of non-commercial musical scenes, political oppositional groups but also literature, film and other fan communities produced thousands of zines also in Central and Eastern Europe where the self-publishing activities had a vivid “samizdat” tradition from communist times. Academic debate about subcultures in last two decades has presented zines as not only a medium cheaply produced by amateurs, outsiders, marginalized individuals and groups (Kirsty Five 2013) but also one that is reproduced and widely disseminated without profit-making structures in a way that challenges the distinction between producers and consumers (Duncombe 1997). Zine-related “scenes” or “zine cultures” (Atton 2002) are still to be an exciting and unresearched phenomenon, especially in Central and Eastern Europe. Cultural networks of authors, musicians, performers and fans as well as material infrastructures around zine production (copy machines, computers etc.) and spaces of communication (libraries, fairs, concerts, happenings and other types of events) present a rich and appealing field for interdisciplinary research. We are interested in the question how did and do zines initialize, stimulate or “construct” scenes? Conversely, how did and do the scenes shape zines as material artefacts? These questions we strive to analyse in view of five perspectives: historical context of late state-socialism and post-socialism, power relations and cultural context (mainstream versus alternative media), typology of zines in terms of content, material context of zine production and circulation, and interlinked dynamics of zine production and the degree of (in)stability in the corresponding scenes.